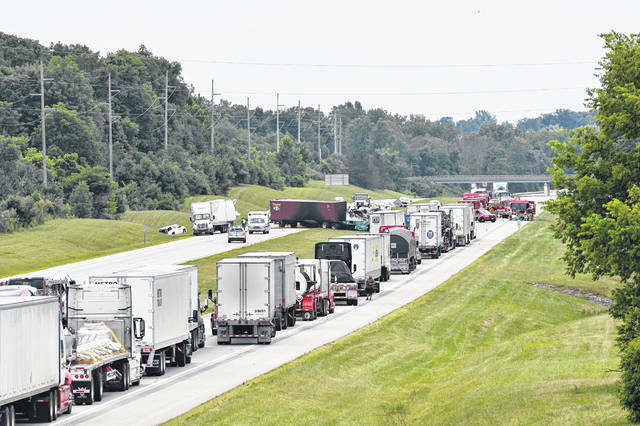 Traffic was backed up for miles Thursday afternoon following a multi-vehicle crash on Interstate 75 just north of Sidney. At least one person was killed in the crash. 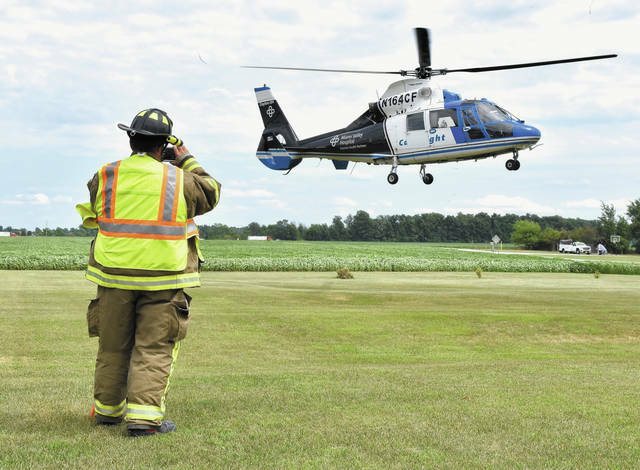 Emergency crews, including Ohio State Highway Patrol, along with fire and EMS from multiple departments work the scene of a crash on I-75 near the 95 mile marker on Thursday afternoon. Interstate 75 north of Sidney near the 95 mile marker is stopped in both directions for a crash on Thursday afternoon. 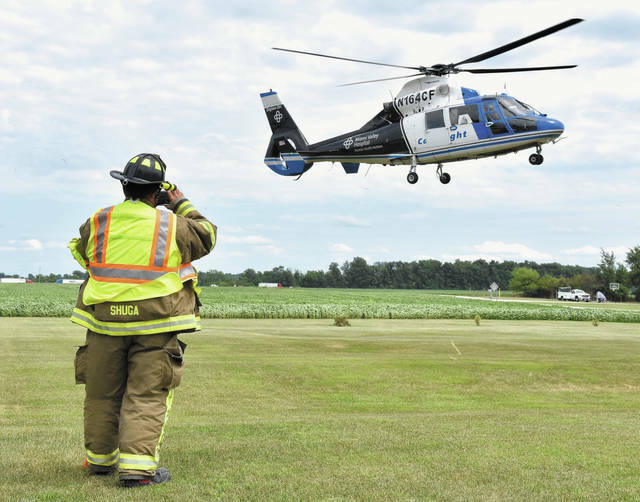 Ohio State Highway Patrol Troopers along with fire and EMS from multiple departments work at the scene of a crash on Interstate 75 near the 95 mile marker on Thursday. 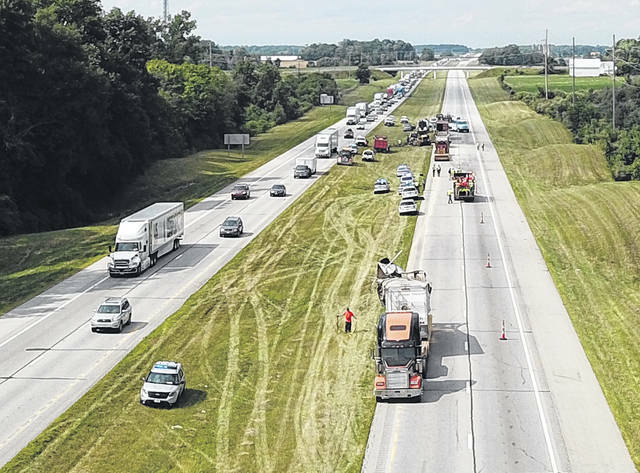 An aerial view of the crash on Interstate 75 shows some cleanup underway. 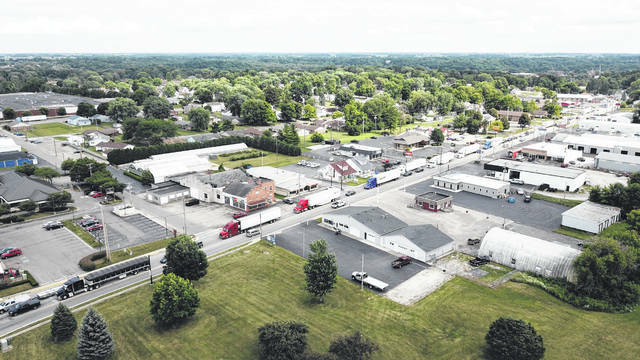 Traffic was diverted into Sidney from Interstate 75 following a crash that closed all four lanes on the highway Thursday afternoon. 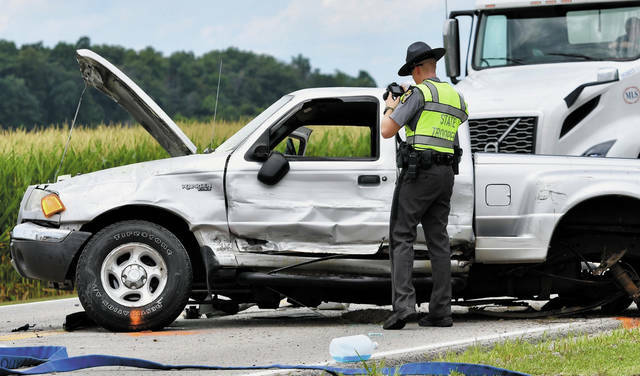 SIDNEY — One person was killed in a multi-vehicle crash Thursday afternoon on Interstate 75, just north of the County Road 25-A exit. 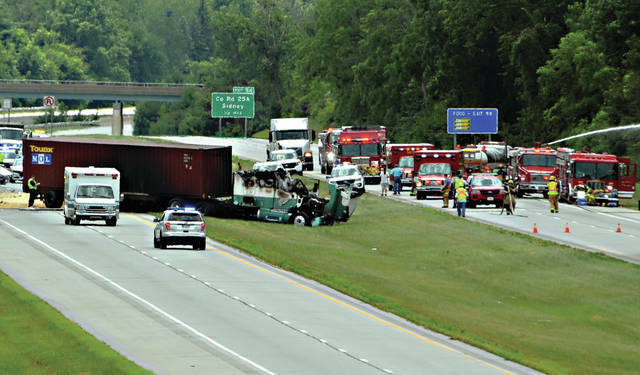 According to the Ohio State Highway Patrol, the crash involved three commercial vehicles and three passenger vehicles. 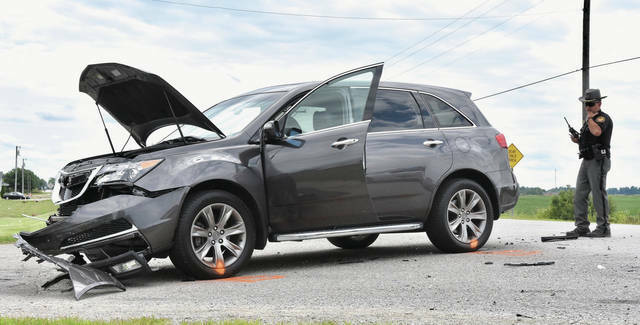 The driver of one of the passenger vehicles, identified as Debra Hurst, 60, of Dayton was pronounced dead at the scene. One other driver was transported to Miami Valley Hospital with non-life threatening injuries. 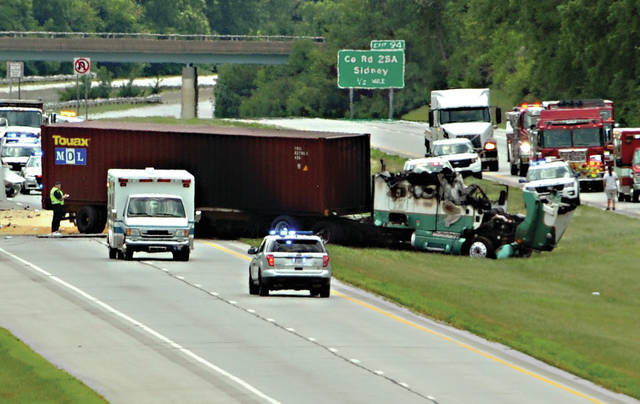 The crash occurred at approximately 11:57 a.m. when the Piqua Post received reports of a multiple vehicle crash on northbound I-75 north of Sidney. Preliminary OSP reports indicate that one of the semi-trucks failed to slow for traffic and struck the rear of the other vehicles. Two semis and a pickup then collided and ended up in the median where they caught fire. One of the semis was transporting soybeans which spilled onto the highway. The other three vehicle were all pushed off the right-hand side of the highway. 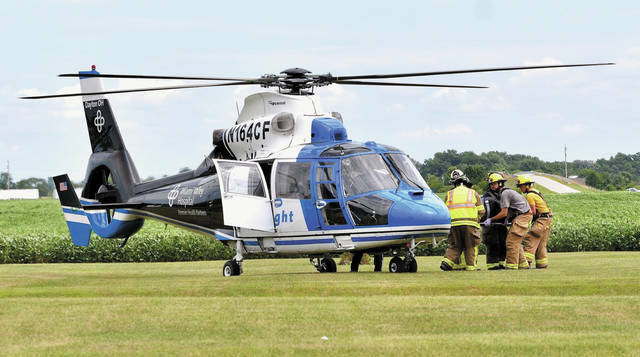 First responders working the crash included Sidney Police Department, Sidney Fire and EMS, Anna Fire and EMS, Botkins Fire and EMS, as well as Ohio State Highway Patrol Troopers. Crews from the Ohio Department of Transportation were on hand to assist wrecker companies with clean up and providing motorists alternative routes while the interstate was backed up. All lanes of I-75 northbound and southbound were re-opened to traffic around 5 p.m. 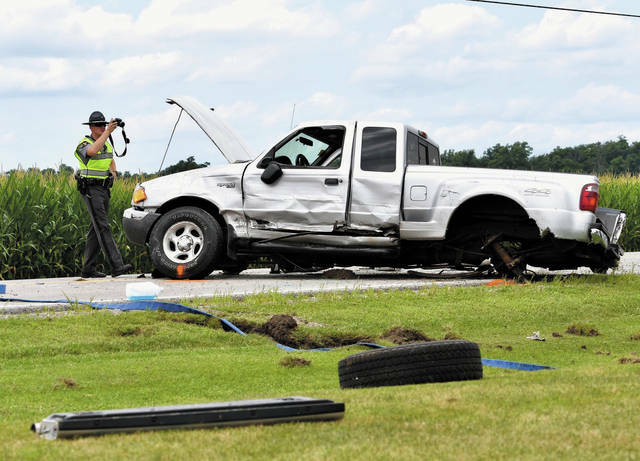 The crash remains under investigation and troopers said that charges are pending upon completion of the investigation.